Roseann is a highly experienced clinician in the field of autism therapy. She has been effectively treating children with autism and has worked with a wide range of patients – from high-functioning children with autism to the most challenging individuals whose families have been on the verge of giving up hope. 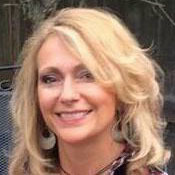 Roseann has been dedicated to helping children, young adults, their families and caregivers by developing individualized treatment plans utilizing the principles of applied behavior analysis (ABA), a behavioral treatment approach which the scientific community has empirically validated, to enable each individual to live independently, encounter positive experiences from their environment, and be able to enjoy a fulfilling and happy life. Roseann received her BCBA (Board Certified Behavior Analyst) training from Western New England University in Springfield MA. She went on to receive her masters’ degree in Autism Spectrum Disorder at the Lady of the Elms College in Chicopee MA. Her passion runs deep for those she is working with and she is determined to make a difference in their lives as well as the lives of caregivers. Roseann is successful in bringing about progress in expressive language, daily living skill, social interaction, and academics. She is aware that early intervention is critical in alleviating the symptoms of autisms and is enthusiastic in her treatment approach. She has continued to improve her knowledge by attending many conferences and workshop always striving to bring highly recommended practices for those she is treating. 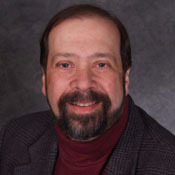 Gary Ferrigno earned his master degree from Westfield State University. He is a Board Certified Behavior Analyst and is also licensed by the state. To keep up with the latest information in the field, Gary is a member of and attends conferences held by Association for Behavior Analysis International and Berkshire Association for Behavior Analysis and Therapists. During his career, Gary has gained experience consulting and supervising ABA therapy for school systems, residential agencies, social service agencies, and insurance funded in home ABA services agencies. Gary has worked with a wide range of behavior and skill deficits in both children and adults. It is estimated that 30 – 70% of children with autism also have gastrointestinal issues. Gary has focused on eating and feeding deficits and has attended numerous workshops and seminars with leading national experts including Kathleen Piazza. Gary is the father of two children and prides himself on his ability to understand the needs of parents. He enjoys connecting with and guiding parents to learn ABA techniques and become key team players supporting the progress made during one to one session with our highly trained behavior technicians. © 2016 ABLE, Autism Behavior & Learning Experience. All Rights Reserved. | Design by Avant Creative.